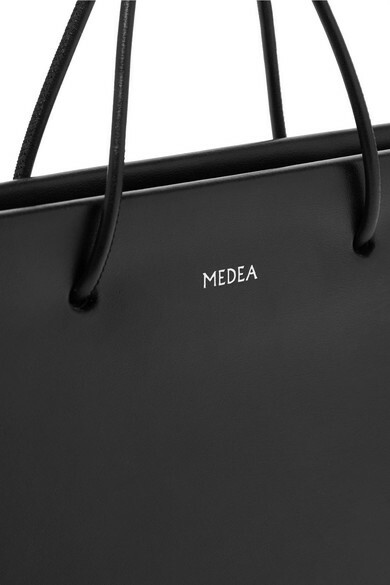 MEDEA's 'Prima Hanna' tote has already caught the eye of Rihanna, who recently posted a photo of this black version on her Instagram. 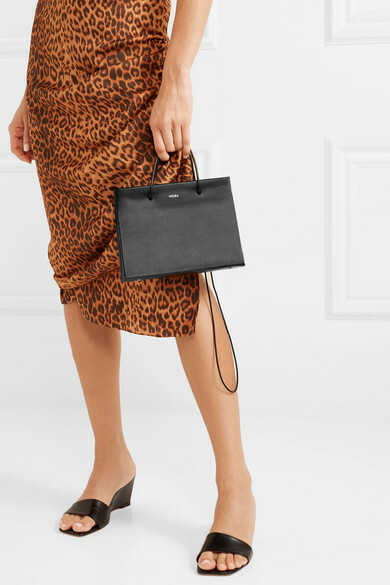 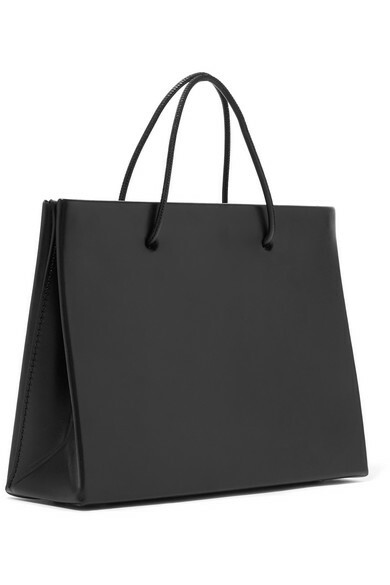 Made in Italy from smooth leather, it has a structured silhouette inspired by shopping bags and is detailed minimally with silver lettering and protective feet. 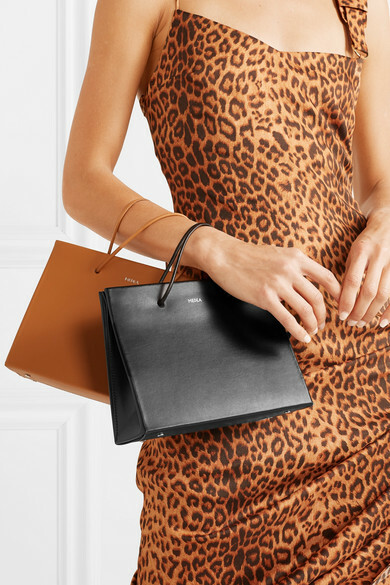 Carry yours by the slim, cord-like handles or matching shoulder strap. 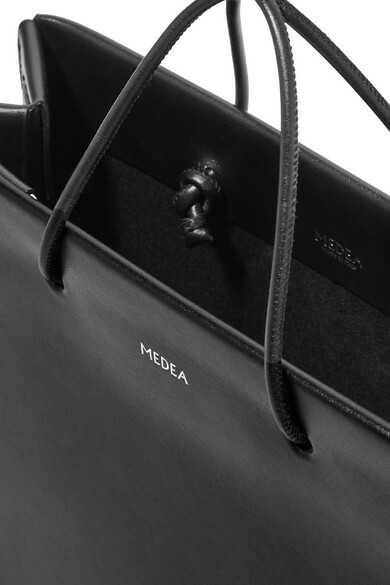 Shown here with: Commission Dress, STAUD Sandals, Laura Lombardi Earrings, MEDEA Tote bag.